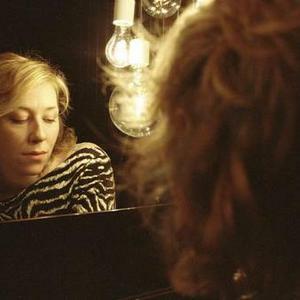 Martha Wainwright (b. 1976 in Montreal, Quebec) is a Canadian-American singer-songwriter. Daughter of Loudon Wainwright III and Kate McGarrigle, and the sister of Rufus Wainwright, she has frequently appeared on recordings by her family members, and has released several independent EPs. Wainwright released an independent cassette, Ground Floor, in 1997. The following year, her song "Year of the Dragon" appeared on The McGarrigle Hour, an album released by Kate and Anna McGarrigle. Daughter of Loudon Wainwright III and Kate McGarrigle, and the sister of Rufus Wainwright, she has frequently appeared on recordings by her family members, and has released several independent EPs. Wainwright released an independent cassette, Ground Floor, in 1997. The following year, her song "Year of the Dragon" appeared on The McGarrigle Hour, an album released by Kate and Anna McGarrigle. Shortly after this recording, Martha began singing backup vocals for her brother, and released the six-song EP Martha Wainwright in 1999. Her full length self-titled first album was released in 2005, followed in 2008 by I Know You're Married but I've Got Feelings Too, and in 2009 by Sans fusils, ni souliers, ? Paris: Martha Wainwright's Piaf Record. The Prosperpina Songfacts reports that her 4th album, Come Home To Mama, was recorded at Sean Lennon's studio in New York City. Speaking about the album, Wainwright said: "This record is a culmination of my life experiences so far. Everything changed for me a couple of years ago and this record is a representation of that and a return to the reason I started writing songs."